We are pleased to announce the recent acquisition of 2 new Okuma LB2000-EXIIM machine tools. 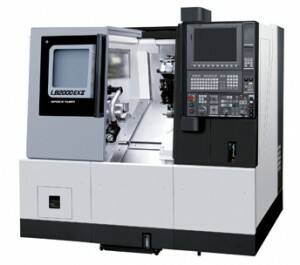 These are CNC lathes that are also capable of milling operations. These machine tools give us the ability to manufacture highly accurate parts in fewer setups. We are very excited to have these new machines on our production floor. We have come to trust the Okuma brand for their high quality and ease of use. We are looking forward to many years of use.